Sports fans were expecting an exciting game between the Patriots and Rams. However, it turned out to be a boring match. Both teams only managed to score a field goal each in the first three quarters. 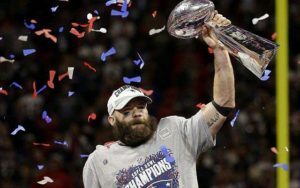 In the end, the Patriots win Super Bowl LIII with the score of 13-3. It is the sixth Super Bowl win for Coach Belichick and Tom Brady. Coincidentally, their dynasty started with a win against the Rams in 2001. However, the latest game between the two was not as thrilling as their first meeting that ended with the score of 20-17. With their 13-3 record, the Rams were unstoppable most of the season according to sports news reports. However, the Patriots’ defense stopped the Rams on the big stage. While Brady had a forgettable performance with an interception and no TDs, the defensive team stepped up when the team needed them the most. Although Julian Edelman was the MVP, most pay per head service experts praised the team’s defense. Edelman made 10 catches for a total of 141 yards. After the win, the Patriots tied with the Steelers win the most Super Bowl wins. Bill Belichick also tied the most wins for a coach with six, along with Curly Lambeau and George Halas. Tom Brady is now the winningest player with six Super Bowls. In fact, he edged out Hall of Famer Charles Haley, who had five championships. In addition, Brady is the oldest QB to win an NFL championship title at 41 years old. He beat Peyton Manning, who was 39 when he led the Broncos in Super Bowl 2016. Moreover, Brady played more Super Bowl games than any other players with nine appearances. According to a pay per head bookie, Brady also holds the Super Bowl records for passes with 392, completions with 256, and passing yards with 2,838. Rams punter Johnny Hekker broke the record for the longest punt with his 65-yard kick.